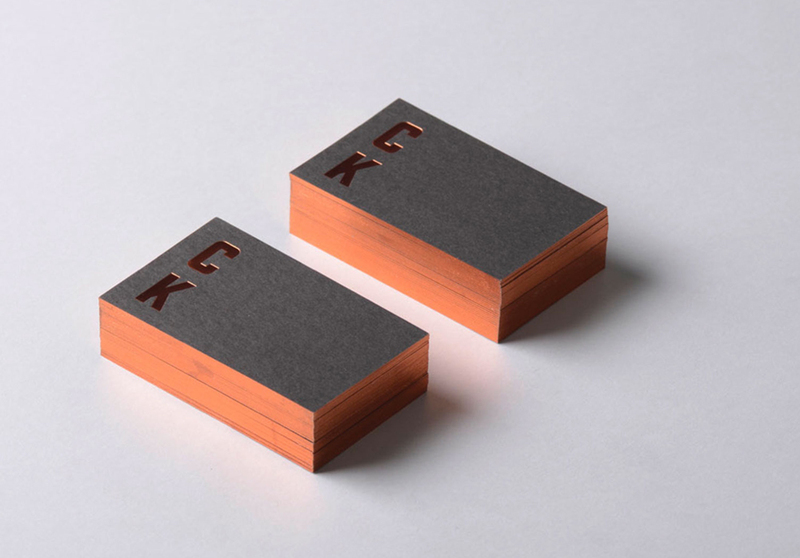 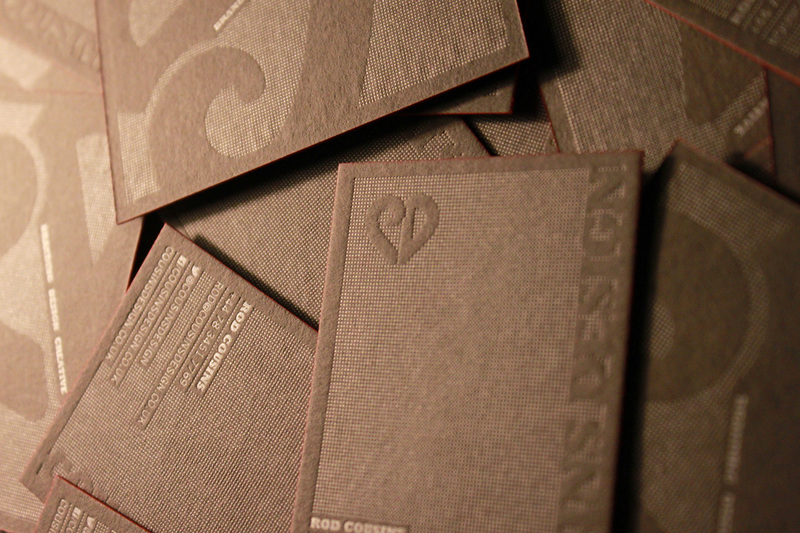 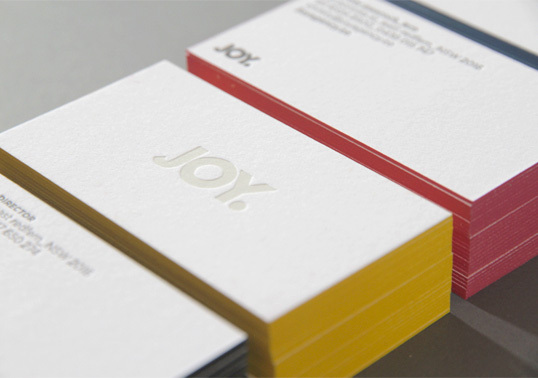 “Our agency business cards were designed to simply reflect our agency name and personality. 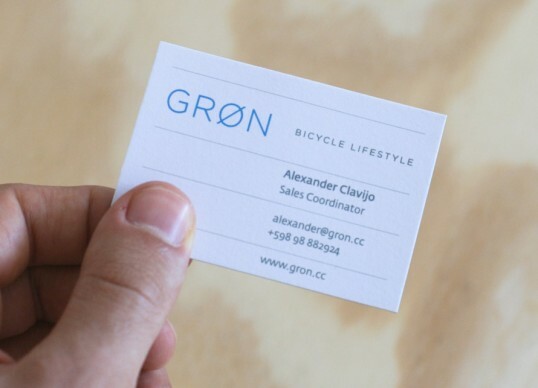 The use of a fluffy heavyweight bright white stock offered a tangible feel to the card, in contrast to the subtle white foil stamping of our logo. 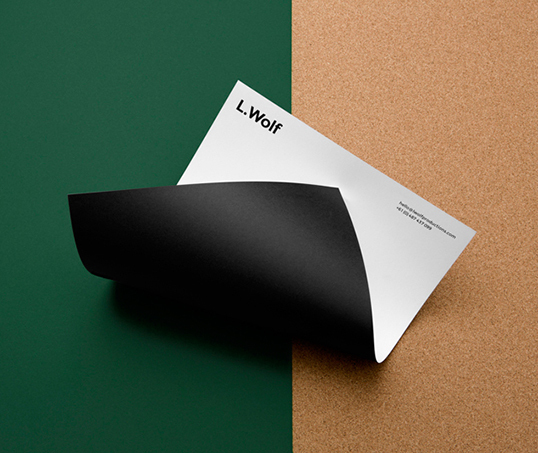 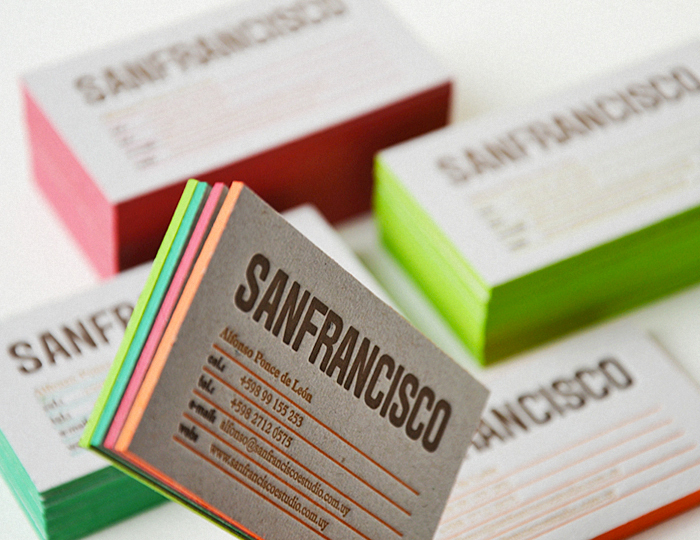 “A year ago I began working on my own, so I decided to do all of my work from a creative alias, Sanfrancisco Estudio. I needed to give a really good and strong first impression so I decided to go for letterpress, a craft I have admired for years. “Sevenly.org is a company out of Southern California that runs weekly campaigns that donate $7 from every item sold to that week’s charity. 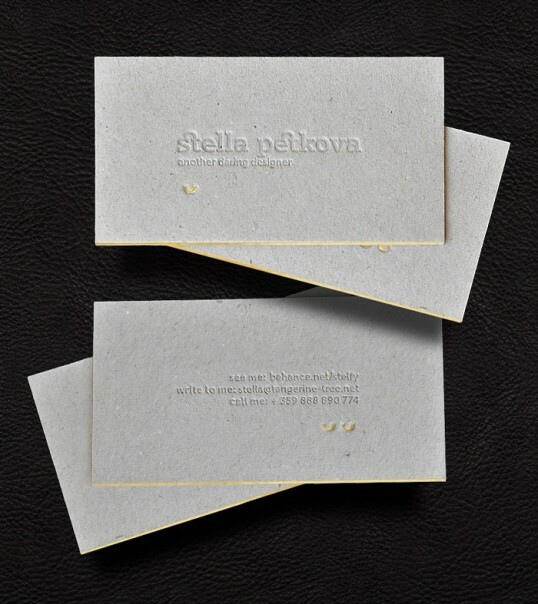 With a motto like “People Matter” it seemed almost mandatory to involve people in the process of putting the stationary together. 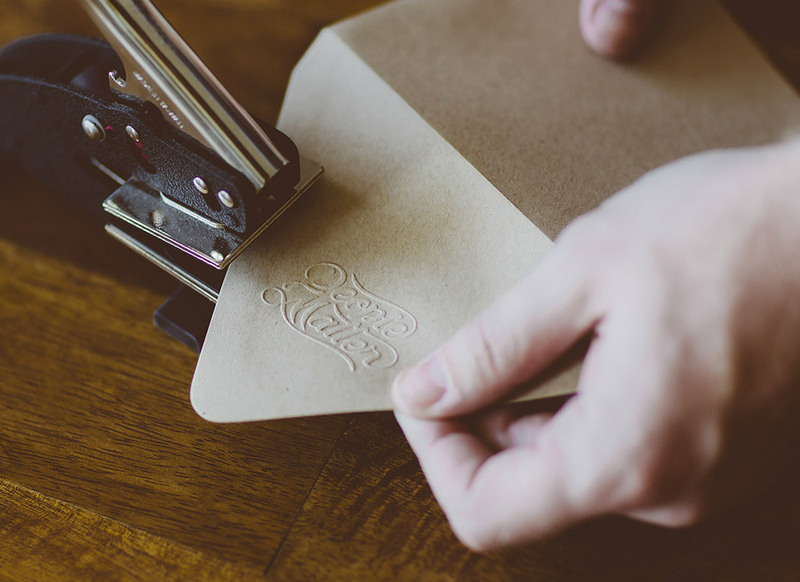 From the sticker to the embossing on the back of the envelope, every step of sending out a letter involves a person. 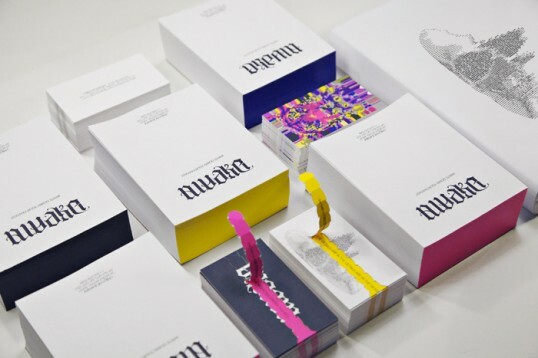 The paper choices and printing methods help to create a connection with the design and allow the recipient to physically engage with the object. 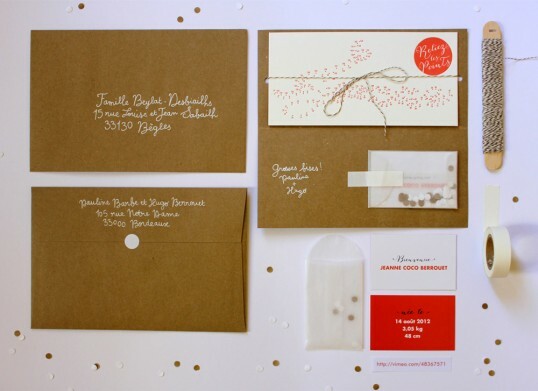 French designer Pauline Barbe put together this lovely little birth announcement stationery set to send to family and friends.